Last week marked a significant period for the Internet as Lyon in France hosted the famous scientific conference namely World Wide Web (WWW) and was declared the World's Web capital for that week. Few people know that this is the same venue where Google was born as this is where Google co-founders Larry Page and Sergey Brin first presented their PageRank algorithm. This year's WWW conference was highly political in nature mainly due to the changing nature of today's Web and its significant role in major events all over the world. 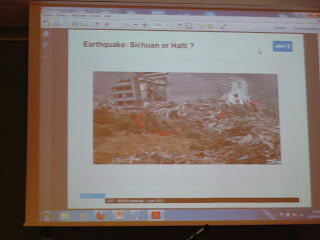 Many sessions focused on how the voices over new media (i.e. social media) is affecting the traditional media both in terms of new paradigms of news dissemination and the credibility of that news. In particular one panel named "Social Media Applications in News and Entertainment" comprised of journalists and media persons from famous media outlets of Europe (BBC, Deutsche Welle and AFP- Agence France-Press). Twitter was the top platform of choice for all the journalists on account of its speed and ease-of-use. However, all the journalists in the panel pointed to one thing namely the credibility of news on social media and methods for its verification. They pointed to some examples of false happenings disseminated through social media platforms. 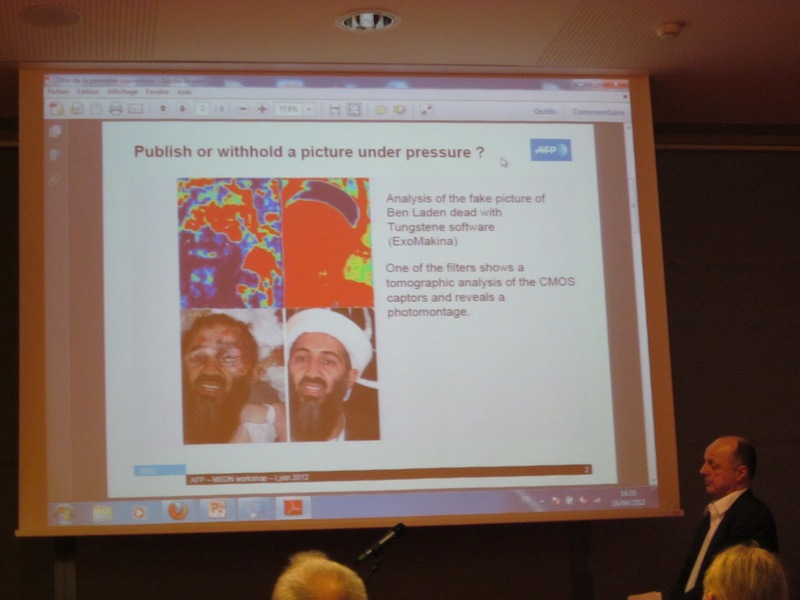 Denis Teyssou of AFP told the audience about how a fake picture of Osama bin Laden's death revolved around social media in 2007; AFP then used a computational graphics software to detect that the picture was fake and the news was false. 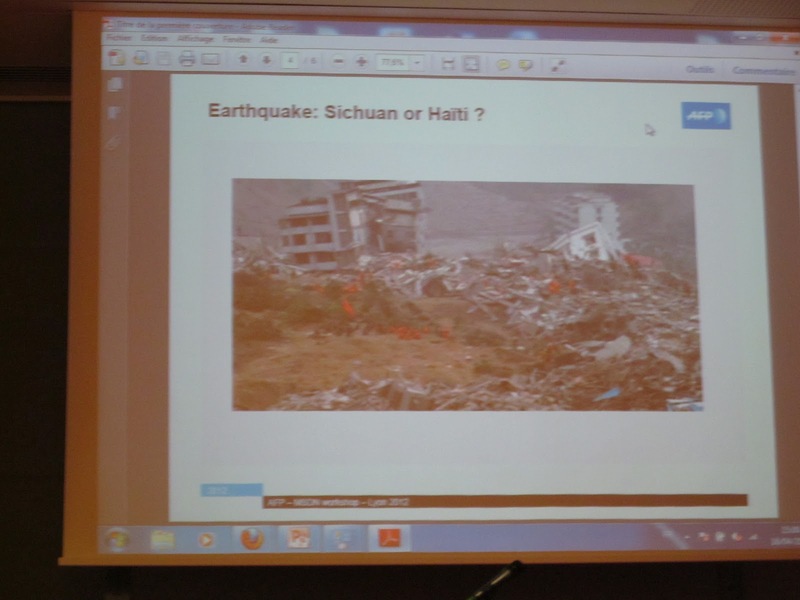 A similar problem arose during the 2010 Haiti earthquake when a picture of 2008 Sichuan earthquake was included in a slideshow of 54 images from Haiti by Daily News. The photo was traced out to a random social media activist and Daily News was heavily criticized by social media and traditional media circles alike. The point in focus is the huge challenge traditional media outlets face due to faster means of news dissemination: the problem is huge, the criticism from various circles is immense and the time is crucial. Even the recent Bhoja Air tragedy and corresponding burst of criticism on the traditional media by various social media activists points out the need for a solution to this traditional vs. social media crisis. We all speak of problems and shortcomings in various aspects of the media but when it comes to solutions, we are somewhat clueless and this for the better has to change. Being a Computer Scientist and having an analytical eye for things makes one approach problems differently: this was the key-point highlighted by all journalists during WWW2012 and Computer Science is the field where the journalists are turing for solutions. Most of them admitted that the advent of citizen journalism has left many in the media industry baffled and some even outraged as journalists by nature are arrogant people not having a habit of public engagement. Social media has considerably changed this leading to more and more public-media engagement but crucial problems still remain; it is the solution to these problems that will bridge the trust gap between the public and the media. As part of a panel on Social Computing and Social Machines: A Research Agenda in Web Science track of WWW2012 I could relate to many of the concerns raised by the journalists and interaction with various panelists further strengthened my hypothesis on marriage between Computer Science and journalism. A similar belief about the way forward is held by sociologists and psychologists with data journalism seeming to be the way forward for all of us. As is the case with most analytic fields not many in the Pakistani media industry are familiar with data journalism and lack far behind than in this area unlike the well-established names such as Guardian, Huffington Post, and BBC. It could very well be that the solution to the media crisis lies right before us and we in our arrogance or let's put it softly ignorance are not turning towards it. 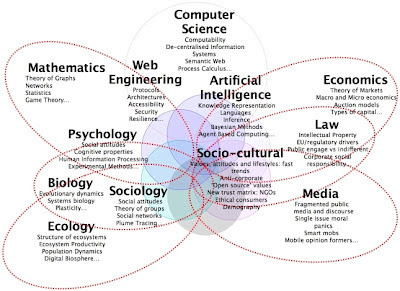 Both the traditional media and social media circles have their own sets of problems and the way I see it collaboration can help solve the problems of both of them, and Computer Science is a good means of attaining that goal. 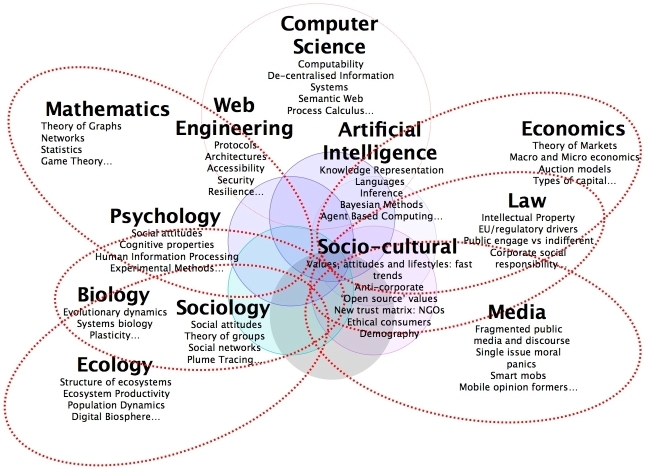 Problems such as this is what has given birth to the new field of Web Science and this emerging field of Web Science aims to bring together scientists from various disciplines as the Web Science diagram shows. Being a programmer from quite some time now and having been into the Computer Science research arena for about 3-4 years I along with my colleague and wife Arjumand Younus have set up a small Web Science research group at Institute of Business Administration in Karachi, Pakistan and this year our biggest achievement of so far came in the form of two research works by WebST IBA at WWW2012. Both of our works focus towards the media crisis. The first one titled "Investigating Bias in Traditional Media through Social Media" quantitatively studies bias in traditional media platforms through the use of social media text-mining and utilizes various text-mining similarity measures to identify differences in how both platforms report a news event. The second one titled "Traces of Social Media Activism from Malaysia and Pakistan" studies regional differences in activity of social media activists from two regions namely Malaysia and Pakistan and reports on some significant findings. We came to the conclusion that social media activists in Pakistan tend to do a large amount of mentions and retweets thereby endorsing each other's statements whereas Malaysian activists tend to post status updates more frequently. The research includes many other findings, feel free to contact us at the Web Science lab of IBA for further insights or if you are interested in joining any of these projects.